The Arditi single pole in line table lamp switch is a small and neat looking lamp switch. 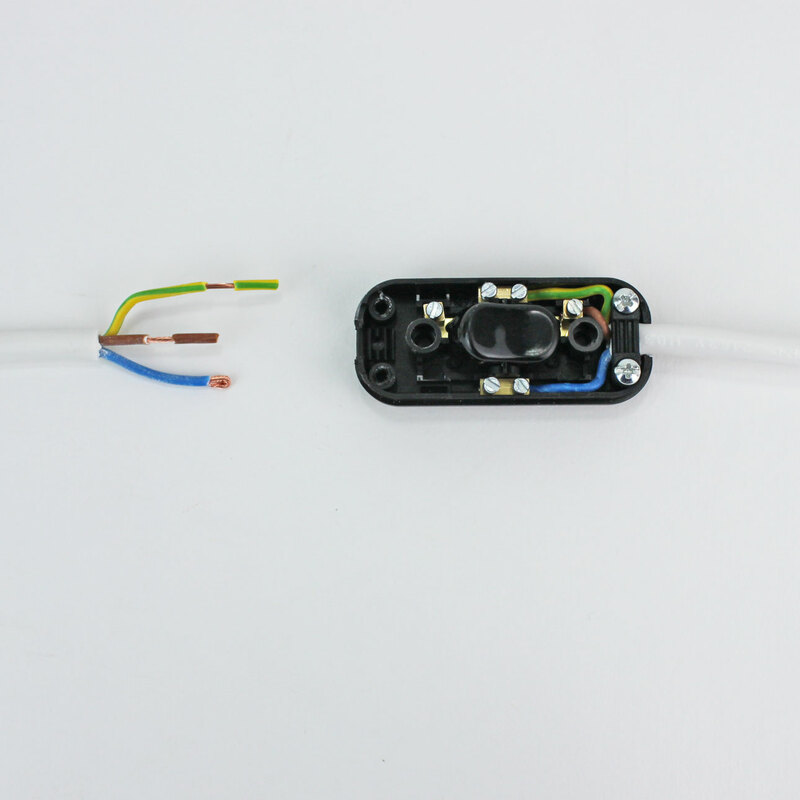 However making it small can cause a few assembly issues when wiring these switches. It’s a case of take your time to make a neat wiring job. Please do not over tighten the live terminal as this may break the rivet holding it in place. The switch cover can be removed by undoing the 2 rear screws. Then remove both cord grips from the ends of the switch. Undo all 6 terminal screws allowing the maximum opening for the wires. 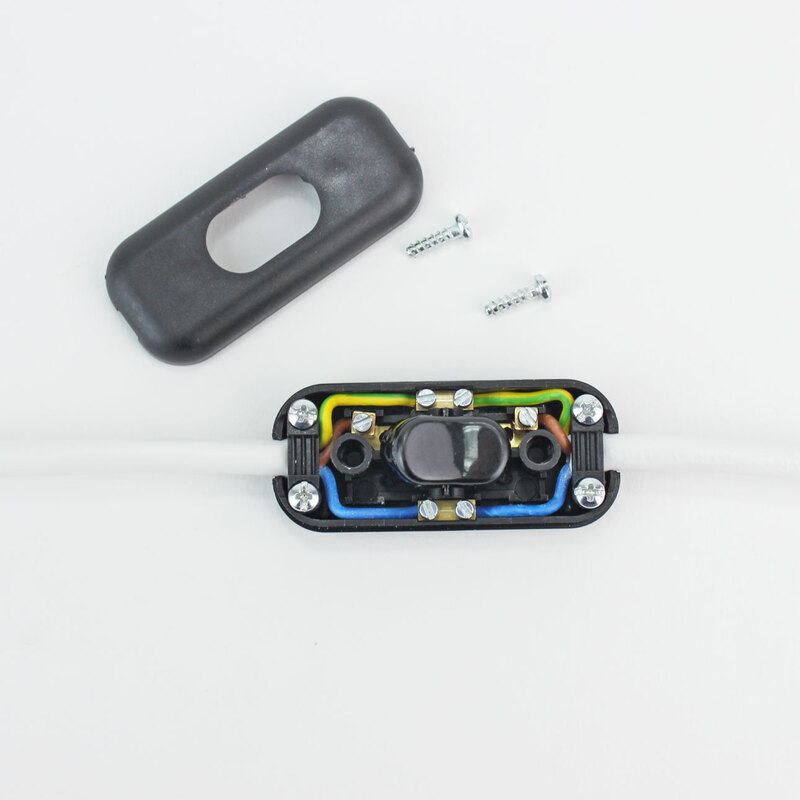 Its best to cut your wires to length by laying the flex on top of the switch and cutting the individual wire just past the point of connection. Its also best if you can to twist the individual wire and then fold then over to give a good connection for the terminal to screw down onto. Here we have shown the stripped wire, the twisted wire and then the folded wire. If you are using a 2 core flex then just ignore the Green/Yellow wires below. The hardest terminal is the Brown live one so just take your time and it will work fine. This is the finished wiring image which I hope will help. Don’t forget to fit the cord grips to the end and once you had a good look to ensure all is OK pop the cover back on and you are done.